Find information about child and family services. Independent person When Child Safety is making an important decision about an Aboriginal or Torres Strait Islander child, the child and the childs family have a right to have a say and to have an independent Aboriginal or Torres Strait Islander entity for a child independent person help make sure their voice is heard. Protecting children We are dedicated to protecting children and young people who have been harmed or are at risk of harm. About child protection Child Safety is dedicated to protecting children and young people who have been harmed, or are at risk of harm. What is child abuse? A child is any person under 18 years of age. Child abuse is action, behaviours or inaction by an adult towards a child or young person that harms or endangers the child. How to prevent abuse Most people want to love and care for their children, but parents can harm their children when stress, tiredness, lack of skills, information or support combine to make the pressures of caring for them overwhelming. Reporting child abuse If you have a reason to suspect a child in Queensland is experiencing harm, or is at risk of experiencing harm, you need to contact Child Safety Services. Responding to child abuse The department is the lead child protection agency in Queensland and is required by law to ensure that children and young people are safe from abuse, neglect and harm in their homes. Investigation and assessment The purpose of an investigation and assessment is to: investigate concerns received about harm and risk of harm. Ongoing intervention Ongoing intervention occurs when we need to provide support and assistance to a child or young person and their family to meet their protection and care needs. Foster and kinship care Every day, thousands of Queenslanders confirm their commitment to protecting Queenslands vulnerable children by being a foster or kinship carer. Foster carer training Our department is committed to providing pre-service and in-service training for foster carers to support the development of the skills and knowledge required to provide quality care to children and young people in out-of-home care. Advanced training Advanced training is flexible and based on the foster carers specific learning needs. Rights and responsibilities It is our responsibility to ensure that children and young people in the child protection system are cared for in a safe and accountable way. Find out what this involves. Regulation of care When ongoing intervention with a child or young person and their family involves placing the child or young person away from their parents care, our department is required to ensure that the child is assured a safe and acceptable standard of care. Contacts Access contact information for the Foster and Kinship Carer Support Line, community foster care agencies, Aboriginal and Torres Strait Islander foster care agencies, and peak bodies and advocacy groups. Resources and publications Access publications including fact sheets, brochures, forms, guides, policies and procedures relating to foster and kinship care. Adoption Adoption is a way to provide a permanent family for children who cannot live with their birth family. Child and family reform The Queensland Government has outlined its reform agenda for supporting Queensland families and keeping children safe. Meeting the needs and requirements of Aboriginal and Torres Strait Islander children, families and communities Aboriginal and Torres Strait Islander children and families will have access to culturally appropriate Indigenous-specific and mainstream services and care. NDIS transition and implementation As the NDIS transition progresses in each region, new processes and relationships are being established between the NDIA and Queensland Government services, including our department. Our performance Find out about the performance of the Queensland child protection system. Summary statistics Child protection data summary statistics. Intake phase The intake phase is the initial decision making point where the department determines its response to reports of suspected harm, or risk of harm, to a child or unborn child who may be at risk of harm after he or she is born. 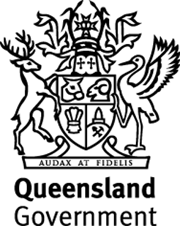 Investigation and assessment phase Statistical data, analysis and supporting information regarding the investigation and assessment phase of the Queensland child protection system. Ongoing intervention phase Ongoing intervention by the department is only required when it is determined that a child is in need of protection. When ongoing intervention is required, a case plan is developed in conjunction with the child or young person and their family. Ongoing intervention phase (Permanency planning) When children cannot be safely reunified with their families, other permanency arrangements are considered. This includes seeking a long-term child protection order and providing the child with a stable, out-of-home care environment until they turn 18 years. Improved safety The departments role to ensure the childs safety is improved. High quality services and improved wellbeing It is the departments role to ensure high quality services are delivered to children and young people that are meaningful to their protection needs and wellbeing. Representation of Aboriginal and Torres Strait Islander children The department is committed to resolving the many challenges associated with the over-representation of Aboriginal and Torres Strait Islander children in the child protection system. Regional data In August 2009 new Department of Communities regions came into effect. Annual data for 2009-10 onwards is reported against these new regions. Child and family resources Access historical publications around child and family issues. Find out how we support young Queenslanders. Find out about youth justice services. Youth Detention Review implementation The Independent Review into Youth Detention took place in 2016. The Review examined the practices, policies and programs of Queenslands youth detention centres, and made 83 recommendations to the Queensland Government. About the review Learn about the background to the Independent Review into Youth Detention, and the governments response to review recommendations. Working together on the review By working together on Youth Detention Review recommendations, we will support better futures for young people. Implementing the review recommendations Youth Detention Review recommendations have been organised into work programs for implementation. Find out how recommendations will be addressed. Find out more about what we do to support Queensland women. Gender analysis toolkit Gender analysis is the methodology used to develop and deliver strategies that address the needs of Queensland women. Our Gender analysis toolkit can be used in any workplace to assist with policy or program development, implementation and evaluation. Find out more about our work to prevent violence in Queensland. Sexual violence prevention The Queensland Government is committed to preventing and responding to all forms of sexual violence. Our department Learn about our Director-General, our departments structure and regional boundaries. Putting customers first Find out how we are putting our customers first and our progress in transforming the way we are doing our business. Our publications Read our corporate publications, find out about the legislation we manage, and our research. Corporate publications Find out about our corporate publications, such as our Annual Report and Strategic Plan. Partners Find out who we partner with to deliver our services. Child and family Find out who we partner with to deliver child and family services. Our community partners Non-government organisations work in partnership with Child Safety Services to deliver services or programs to children, young people and families throughout Queensland. Our government partners Other government agencies have a role in the delivery of services for children and young people and their families. Child safety licensing Incorporated organisations delivering placement services to children subject to statutory child protection intervention are required to be licensed. Funding and grants Find out about current funding and grants opportunities. Investment specifications Information on investment specifications. Online Acquittal Support Information System (OASIS) Information about OASIS, an online grants tool making it easier, simpler and faster for funded organisations to electronically update records, financial information, access reports and submit endorsed documents. Right to information Find out about our approach to providing the community with greater access to information. Publication scheme The publication scheme describes and categorises information routinely available from us. Disclosure log The Right to Information Act 2009 requires agencies to publish information and documents on RTI disclosure logs. Careers Find out how you can join us and what career paths are available in our department. Career opportunities Information about the range of career opportunities available within the department. Child protection careers We employ across a variety of child protection roles, from Child Safety Support Officers to Senior Practitioners. Youth justice careers A career in Youth Justice offers professional development, career progression and fulfilling work. Learn about career opportunities in Youth Justice. For students We have opportunities in city and regional locations and across a range of service areas. Read good news stories about the work we are doing to help ensure Queenslanders are safe and thriving in families and communities. Child and family contacts Child and family contacts. Child safety service centres Contact details of child safety service centres. This help section is designed to assist you in the use of the department's web site by addressing some common issues. Search the Department of Child Safety, Youth and Women website.